Back (l-r): Delmar White, Earl Hipwell, Harold Hunt, Ellis Lund, Milo Ross, Ray Charlton, Ted Christensen. Middle: Lyle Thompson, Ivan Hodson, Wayne Taylor, Jack Wood, ? Singleton, Weldon Heslop, Warren Williams, Arthur Hunter, Gwendolyn Stewart. Front: Ruby Illium, Miriam Weatherston, Margaret Freestone, Jean Etherington, LauRene Thompson, Neta England. This is the first of four photos from Grandpa Milo Ross’ class pictures. 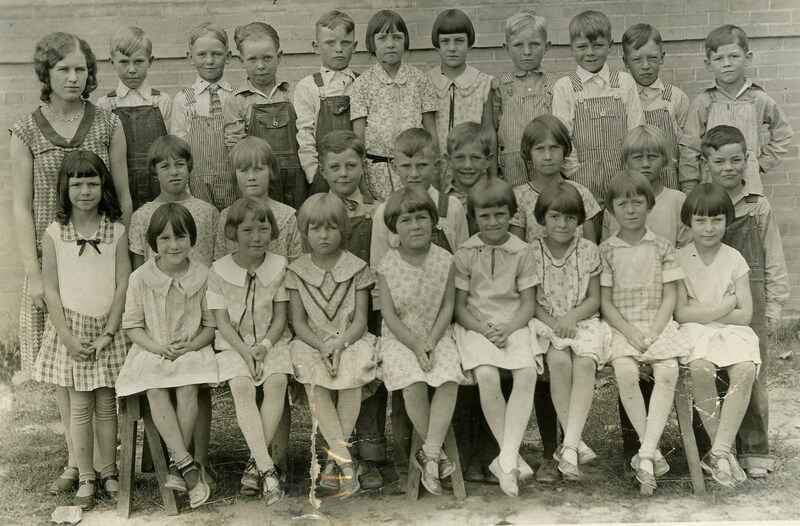 This photo is of the 1st Grade class for the school in Plain City, Weber, Utah for the year 1927-1928. You may find it interesting to see how the individuals grow up over the next 10 years or so (through the four class photos). Here is some biography on the individuals in the photo. I started with spouses, but some married multiple times and it just became messy, sorry. Back (l-r): ? Holmes, Carl Hudson, Kenneth Taylor, Paul Ross, Howard Singleton, June Etherington, Una Cottle, Hugh Taylor, Rex McEntire, Lyman Skeen, ?. Middle: Marguerite Maw, Lucille Maw, Ruth Hipwell, Frank Hadley, Kent Jenkins, ?, Golda Illum, Ruby Sharp, Lloyd Olsen. Front: Atholeen England, Alice Maw, Lucille Hadley, Myrine McFarland, Verla Lund, Ruth Carver, ?, Rae Knight. 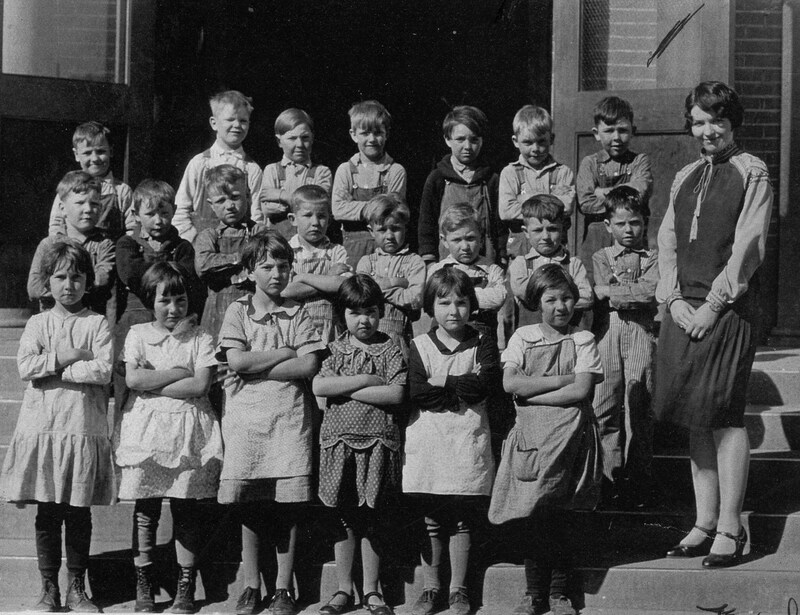 Here is a class photo from what is believed to be a 2nd Grade Class taken outside the old Plain City School in Plain City, Weber, Utah. I have at least two family members in the photo, Paul Ross and Ruby Sharp. Ruby is still alive and provided much of the information for this photo but could not name all the individuals. I have added family history to the individuals below, question marks either denote an unknown person or dates (which probably means the person is still alive).